Whether you want to have a lower mortgage payment, refinance an adjustable rate mortgage, or consolidate debts, we have the mortgage refinance solution to meet your needs. Our team of mortgage refinance professionals are here to answer your questions so you have a clear understanding of what mortgage option suites your situation. Complete our mortgage Quick Quote to get the best offer from the Nations most trusted mortgage lender. Mortgage refinancing can also give you cash back to use for home improvement or other purposes, consolidate debt or eliminate credit card debt. If you already have two loans or a second mortgage, refinancing both loans can simplify your finances and save you money at the same time. You can also choose to change your payment terms, such as converting to a fixed rate loan to lock in low interest rates, or change to a shorter mortgage term to pay off your home more quickly. If you are experiencing payment difficulties, we can work together to help keep you in your home. Refinancing can also help stabilize payments on your adjustable-rate mortgage and lock in a low, fixed rate today. If you're ready to refinance or even just considering your options, we can help you determine which refinance option best meets your needs. 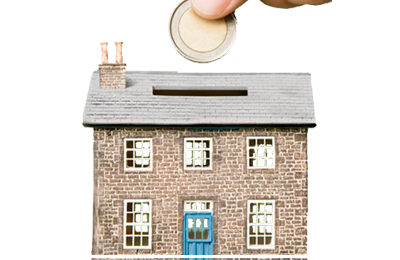 We compete for your loan by offering competitive refinance rates that can save you money. Our refinance options allow you to choose between fixed rate loans and variable rate loans. We can also compare refinance interest rates, points and other loan options to find the best mortgage for your financial needs.